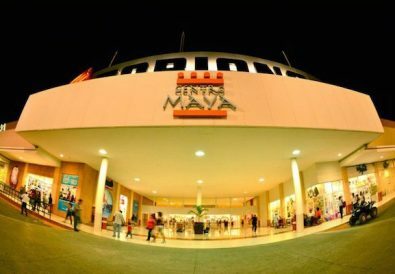 Would you like to take a tour in the Riviera Maya that recreates one of the great traditions of the nations’s capital? Mexico City has an area filled with canals that turned into a park, where families and friends rent out boasts and float down the canals. Often they will find themselves passing other boats filled with musicians, who are ready and willing to provide some entertainment. Other boats passing on the canals might be offering food and drink, creating floating party for visitors. 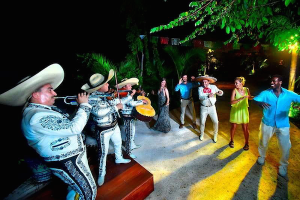 Cancun’s Xoximilcho experience takes place among the landscape of the Mayan jungle. It is ideal for a casual evening out, a date night, to celebrate a birthday or anniversary, and as a fun outing with family. The tour takes you through canals on a boat called a trajinera, surrounded by mangroves, islets and chinampas, and pre-Hispanic and colonial architecture. The trajinera resembles a gondola, like what you see in the Italian city of Venice, and the navigator steers it using a pole. Accompanying him is a guide who, as host of the journey, is tasked with getting everyone on board to get to know one other better, through music, dance, and playing games: futbolito, a game of marbles, or pin the tail to the donkey. During rest stops you will be served snacks like quesadillas, salsas and dips, and sampling of some traditional Mexican candy and desserts. 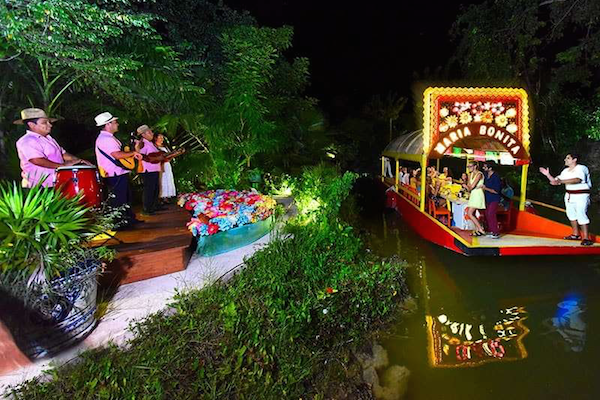 The tour concludes with everyone on board the boats enjoying a night of dancing to the sounds of live musicians, playing the sounds of Mexican norteño, ranchero, marimba, trio, and bolero. Now can learn some dance steps and sing along with the most emblematic songs of the Fiesta of Mexico amidst the beautiful landscapes of the park. Xoximilcho now becomes your own private fiesta in the jungle. 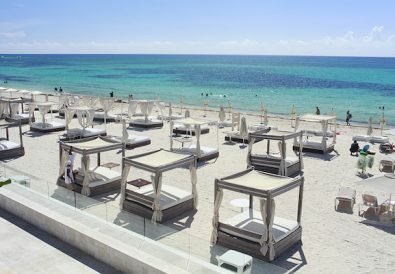 Xoximilco is located south of the Cancun International Airport, so it is a one hour drive from Gate48. Upon arrival you will find parking lot attendants who will valet your car free of charge. Rememeber that Xoximilco is in the middle of the jungle, so it’s recommended that you wear trousers, closed-toe shoes and use biodegradable insect repellent.